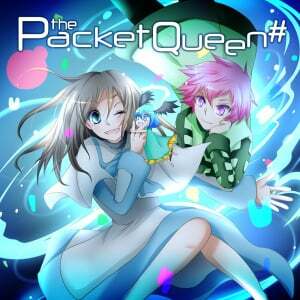 Described as a ‘competitive-type active solitaire game’, Packet Queen # is essentially a puzzle game that is trying to be a little different to your average brainteaser title. Mixing the ideas of single-player puzzle action with a Poker-inspired points system, the game certainly feels unique when looking purely at the gameplay, but does it do enough to warrant a cheeky download? As the game’s very lengthy and overwhelming tutorial will teach you on your first go, Packet Queen # sees you sorting shapes into one of three zones on your screen. There are five different shapes in total, spread across seven different colours, and your job is to decide how to most effectively use them to accumulate enough points to defeat your AI opponents. 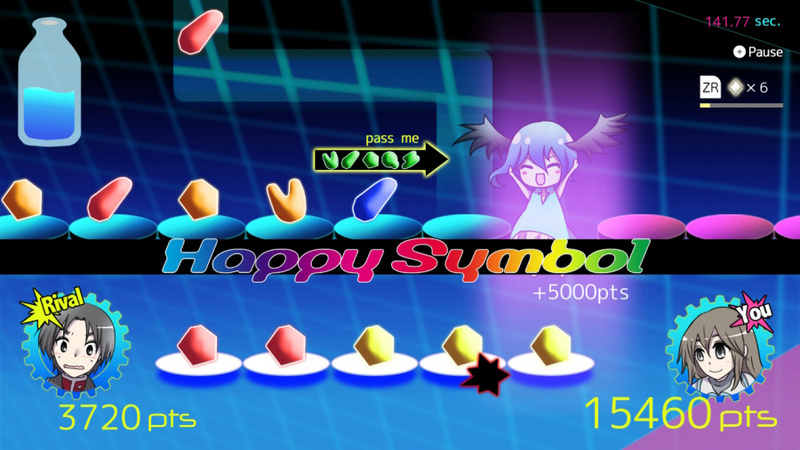 The points you manage to score, as well as bonus points obtained for things such as clearing a level faster than your opponent, are all tallied up when you’ve cleared every last shape. 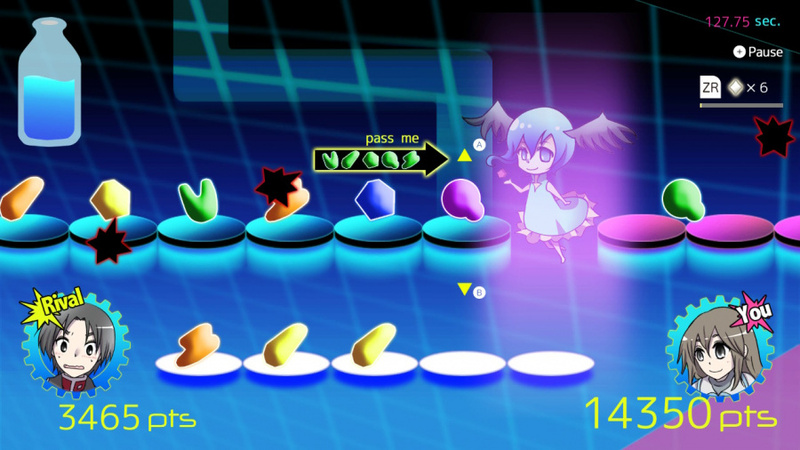 During each level you’ll have to let one particular colour (which is clearly indicated on the screen) pass by you into one of the three zones. Aside from that, though, you are then free to choose whether you’d like to send the other shapes upwards to clear them from the stage, or downwards to place them in your hand (as if you were playing a game of cards). You can do this by using ‘A’ for up and ‘B’ for down, or by using a simple flick of your control stick in either direction. This is where the Poker part of the game comes in; if you can make a successful hand you’ll score a ton of bonus points and clear the screen of any ‘noise’ – little black fuzzy things that block your view if you make mistakes. There is a full menu available to show you which hands are useful and how many points they will get for you, but essentially the best hands are made up of things like having two of one kind, three of another; one of the five shapes in five different colours; or every shape being the same colour. The great thing about all of this is that you have to think really quickly to defeat opponents on higher difficulties; you can speed up how quickly the shapes come flying at you, but that could mean you’ll make lots of mistakes in the process, damaging your score. The colour that must be allowed to pass by you changes occasionally during each level, too, often causing mistakes as your attention focuses on point building rather than efficient sorting. It can start to feel quite addictive, especially if you fail a stage by a small margin, as you’ll likely remember exactly where you slipped up and want to do better. Unfortunately, as soon as you start to get addicted to it, it’s all over. 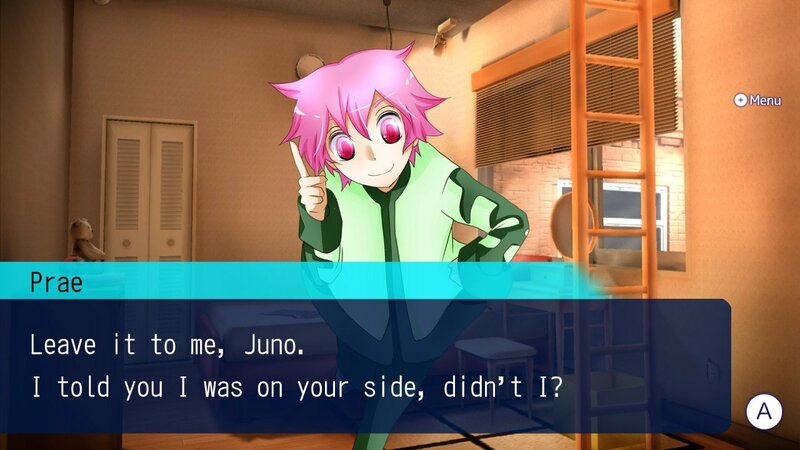 The main game is actually presented within a story, whereby the main character, Juno, is playing this game inside her head. This is all thanks to some brain-infesting AI called Prae who tells her to play the game to improve her skills so that she is more likely to be employed in the future - if this review has taken a strangely surprising turn from your point of view, imagine our utter confusion while playing it. This story, as well as being incredibly confusing, bothersome, and lacking any real sense, actually ends up taking up more than half of the game’s entire play time through dialogue. You only actually play eight levels of the puzzle game itself, each ranging from around three to ten minutes in length, all taking place in between an hour-or-so of cut-scenes. We can’t help but feel that the game would have benefitted from having many more levels, preferably with a slower build of difficulty, all accessible from one menu without any story or dialogue in sight. You can play through the story on three different difficulty settings if you’d like to get more out of your purchase, and there are several in-game achievements that you can work towards, but this lack of content is a familiar sight across the board. An online mode is available, enabling you to compete against other players around the world, but rather than competing against one another in a live match, you’ll be playing against others’ previous records without any real point to it. And that’s basically everything. The lack of local multiplayer, or even live matches online, is such a shame because having a split-screen mode where you and friend frantically try to complete each stage as fast as possible would have been fantastic. The puzzling action itself shows great promise, and could easily have been an awful lot of fun with different modes to support it, but instead it just falls a little flat. Eight levels, and then random repetitive levels online without any real reason behind them, just don’t feel like enough. 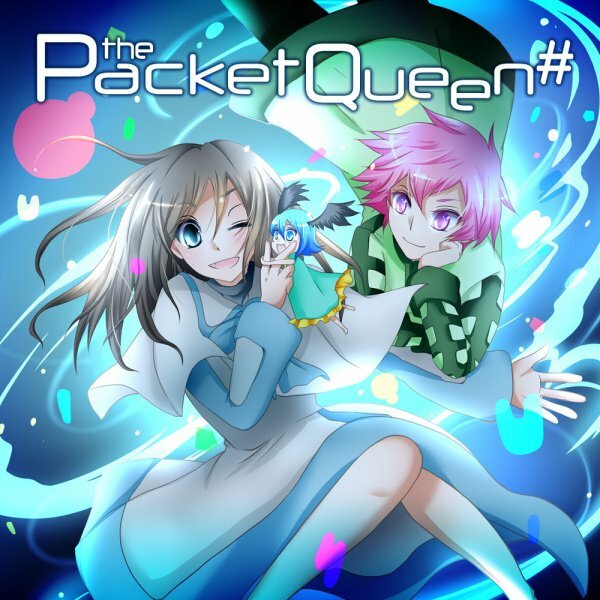 Packet Queen # features a new, enjoyable type of puzzle gameplay that has you making fast decisions on the fly, and can start to feel pleasingly addictive, but a lack of content and a completely unnecessary story mode that ends in disappointment make the title fall short of greatness. For its relatively low price the game isn’t a bad option for passing the time, but the puzzle gameplay itself needs to be placed within a much better overall package than it is currently to truly impress. @sfb This reviewer clearly wasn't having the time of his life! i think just a joker. Sounds like a mess to me. No thank you. 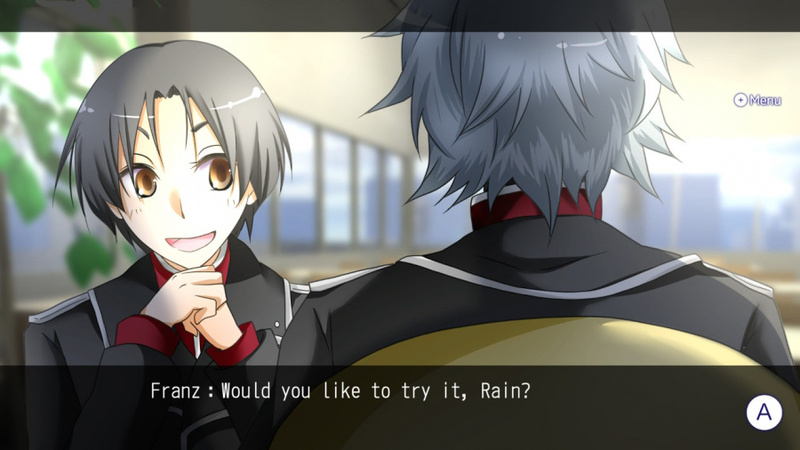 The art style alone is enough of a reason to skip this one. @sfb I want to make another Dancing Queen pun, but my brain doesn’t have much to think ABBAout.